This is a replica of James Cooks Endeavour. 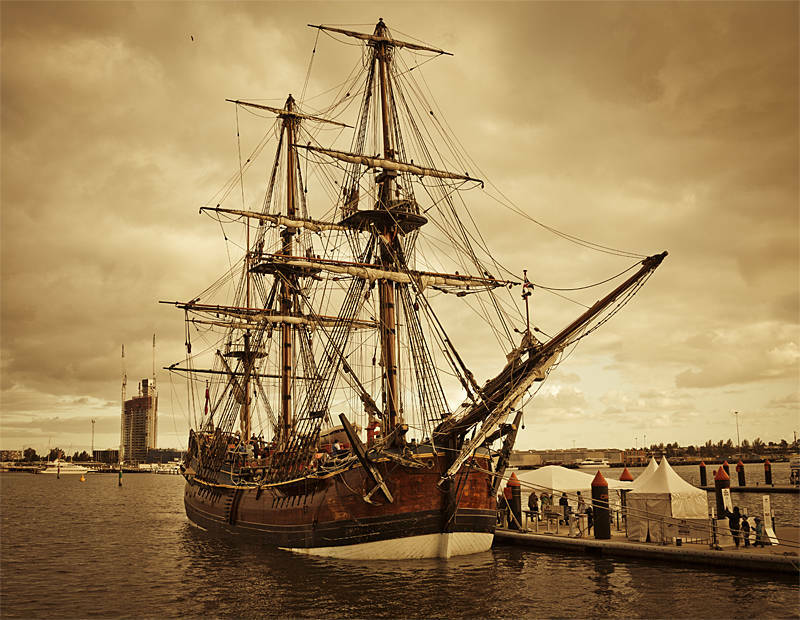 The ship was moored at the Central Pier of Melbournes Docklands in Victoria, Australia. To process this image split toning was applied in Camera RAW.